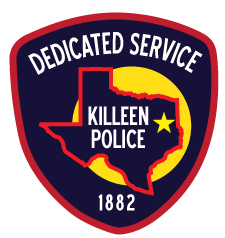 Killeen Police Department investigates a fatal motorcycle crash in the evening hours. Officers received a 911 call on Monday, March 11, 2014, at 6:53pm, in reference to a crash involving a Yamaha motorcycle and a Dodge minivan. Upon the officers’ arrival, they located the operator of the motorcycle who was suffering with life threatening injuries. The preliminary investigation revealed that the black Yamaha Motorcycle was traveling east on Rancier Ave. in the inside lane, when a Maroon Dodge Caravan attempted to turn south onto Crockett. The operator of the motorcycle was unable to avoid the vehicle, causing the motorcycle to collide with the passenger side of the minivan. There were three occupants inside the minivan; one person was treated for minor injuries and released at the scene. The operator of the motorcycle, 18 year old Chase William Evans, was pronounced deceased at 7:38pm by Justice of the Peace Bill Cooke. The operator of the motorcycle was wearing a helmet at the time of the crash.